Sometimes you may face this problem in your computer or laptop that when you'll open any sub-folder, it will automatically open in new window. 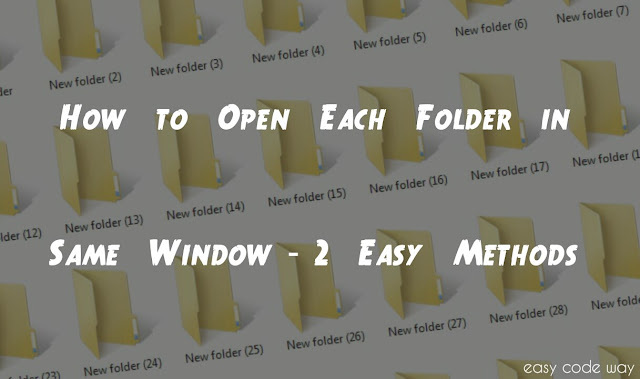 But in correct way, it should open in same window of its parent folder. So was it virus? Of course, not. This is Windows in-built feature which let you manage each folder separately so that you can keep all open items that you're working with on the screen at the same time. However, it looks awkward and the worst part is to close all those folders one by one. 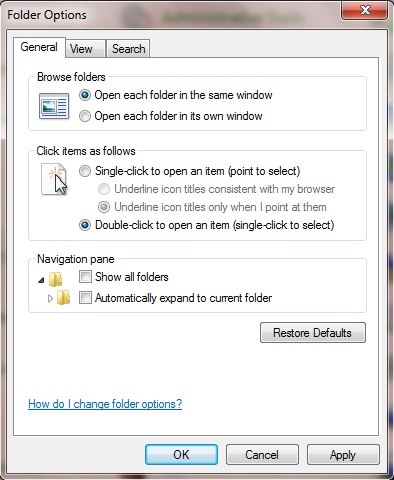 Apart from this, there is another problem in which folder are opened by single click means if you will single-click any folder, it will open instantly. Again, in correct way, it should select the item for single click and open it when clicked two times. In this tutorial, I will teach you how to fix both these problem in your windows operating system. Below are two different methods you can use. Actually, both of them are same but the only difference is the path you'll choose. First of all, open my computer or windows explorer. After this, select "Folder and search options" from menu list. A new window will open. Under general tab, tick mark "open folder in the same window" button. Additionally, if you want to disable single click feature than tick mark "Double click to open an item (single-click to select)" button. Finally click on "OK" to save all these changes. Now try to open any sub-folder and definitely, this time it will open in same window. Isn't that cool. Huh! 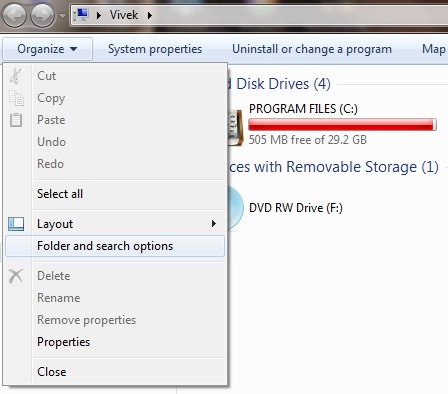 If you've operating system other than windows 7 then you may not find any organize button and thus this method will not work. 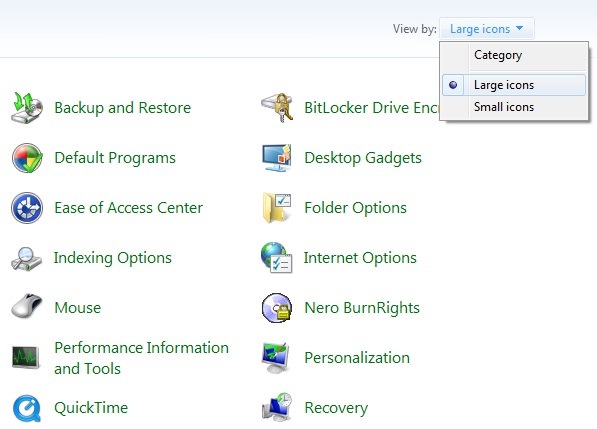 In such cases, you've second option to launch folder settings from control panel. As already mentioned, this method is copy of first method but the way is different. This will work on all windows versions including XP, Vista 7, 8, 10 and all others. Follow below steps to fix this issue. First of all, go to start menu and open control panel. Now change view by to large icons and find "Folder Options". Open it and a new window will open, same as that in step 4 of first method. Now tick mark "open folder in the same window" option. Finally hit OK button and that's it. Now I just hope that you've fixed all your problems. If you've any questions, feel free to ask me in below comment box. Stay tuned for more interesting updates. Which method you've used?